The other day I went down to the coast just to get a whiff of the sea. The water temperature is still quite high and I was optimistic about the chances of a bass or two. 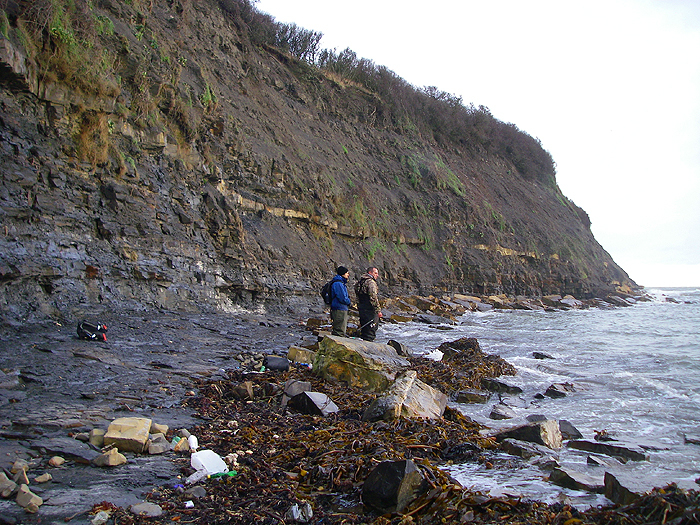 My optimism turned out to be ill founded but my pals Bill, Rob and Mike had obviously been of the same mind as myself because we were all fishing round about first light on the same stretch of beach. None of us even had a bite but it was quite an interesting trip. People often ask me whether the mullet and bass feed on maggots through the winter months. Well, in truth, I don't think that they do but it's certainly not because there are no maggots. 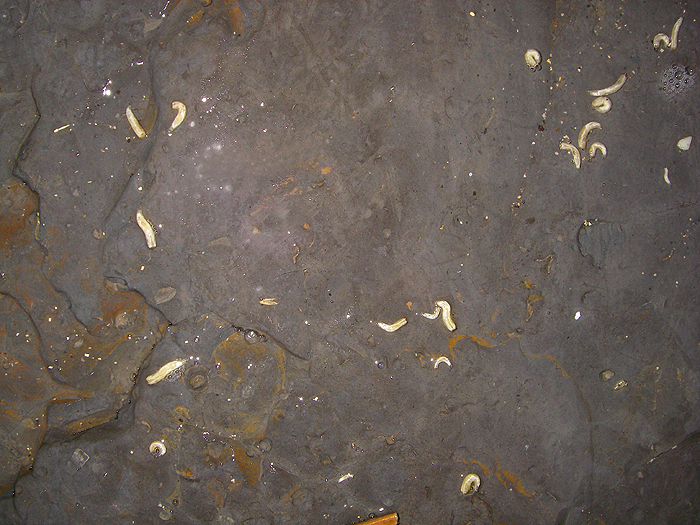 We saw lots of flies and in places the rocks were covered in maggots but there was never a hint of a surface feeding fish. In Summer sport would have been virtually guaranteed. 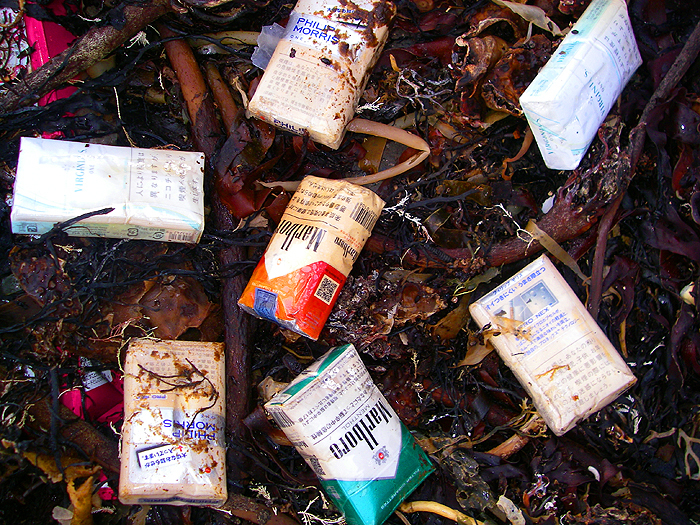 The other interesting thing was the vast array of packets of cigarettes which littered the beach. There must be millions of them along the Dorset coast - presumably lost from damaged containers. I took a picture just to remind me in the future of what a mess we make of our environment. This will be my last posting for a couple of weeks but hopefully I may have a few pictres of fish to look at by the beginning of April.